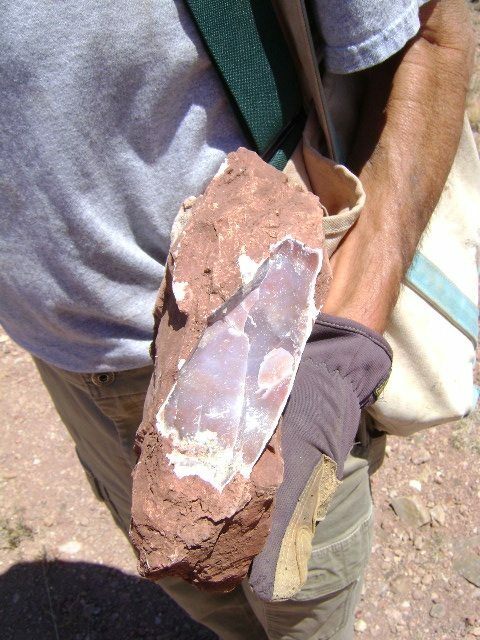 The Coconino Lapidary Club offers rock and mineral collection field trips for it’s members, primarily from Fall through Spring as most of our collecting is done in the warmer areas of northern Arizona. We try to schedule them for the Saturday after our monthly Friday night meeting. Most are day trips in the vicinity of Flagstaff – i.e. Camp Verde, Prescott, Winslow, Pine and other nearby areas. You must be a member of the club to participate in our field trips. The Grand Canyon Caverns are the largest dry caverns in the United States, located 200 to 300 feet below the surface, and accessible via our exploration elevator. You enter and leave the caverns by means of this elevator, dropping 21 stories underground, making the caverns easily accessible. This field trip for February has been canceled due to lack of members available to go. Because the weather looks to be iffy and roads will be too wet to drive on, even if the weather is good. Our next field trip will be March 16th – weather permitting. Marty & Linda will be in Quartzsite and meeting up with any interested club members on January 19th, between Noon & 12:30, at T-Rocks 1530 W. Main st located at the second off ramp to Quartzsite from the East, turning right and then left at the stop sign, there will be a Carl’s Jr, and T-Rocks is directly across from Carl’s Jr, great place to stop and look for rocks. Dobell Ranch is a private fee site for collecting petrified wood, and I’m told fossils can be found as well. Cost is $30 per 5 gallon bucket. You dig your own or sort through piles left out for purchase. This material can be legally sold – if you keep your receipt. If 7:00 is too early, Linda will lead another group leaving Silver Saddle at 8:30 a.m.
TRIP IS ON – Diamond Point is a quartz crystal collecting site. 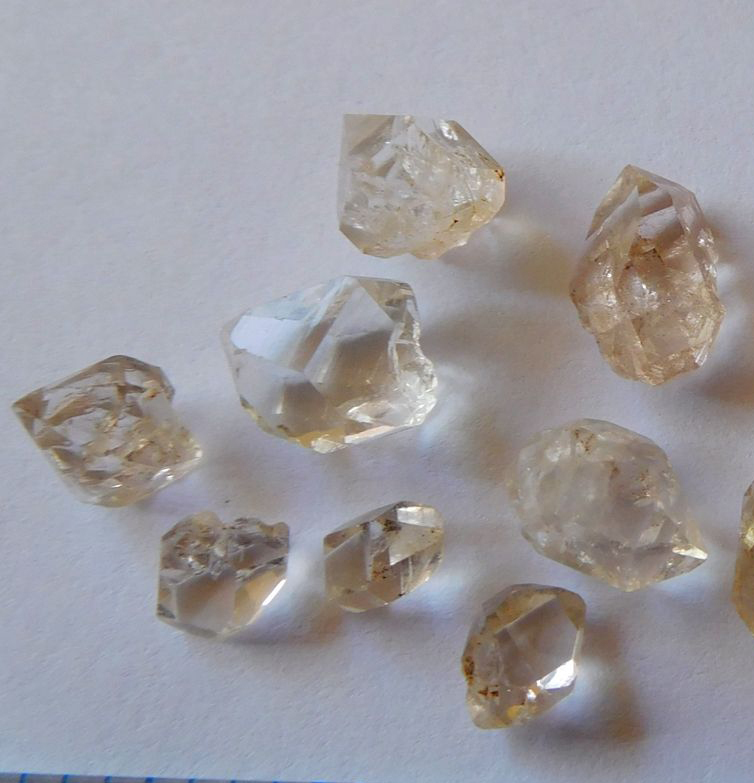 Most of the quartz crystals have grown in vugs in the Martin Formation as groundwater has percolated through the rocks, depositing SiO2. This is one of our favorite trips near flagstaff. 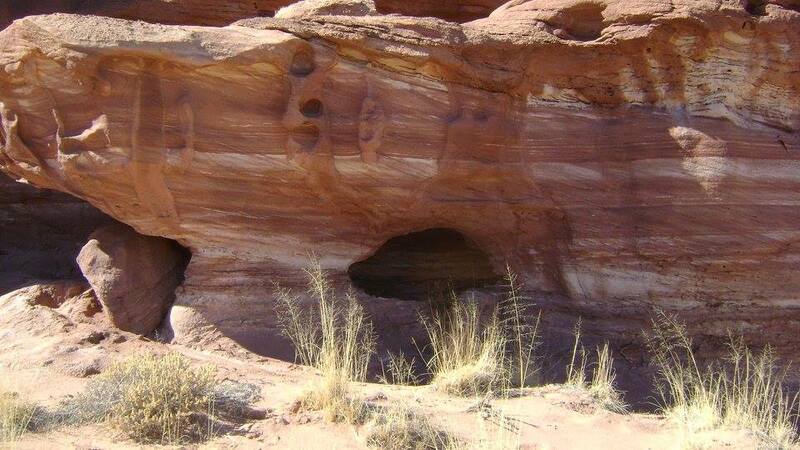 It’s a fun area to explore – you can drive all the way out to the Little Colorado River. 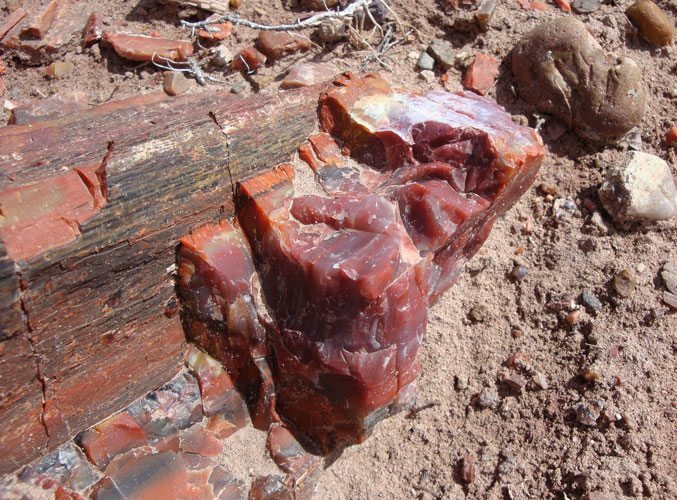 Petrified wood, smaller tumbling size pieces, are abundant and we have found jasper out there as well. This is a wonderful collection site – beautiful agate just waiting to be picked up. (and you can dig as well, if you’re so inclined). Marty has made some beautiful cabs from this material. We will drive from Flagstaff to Williams and make a pit stop at the Safeway there. If anyone would like to meet up at the Safeway in Williams, please e-mail me (coconinolapidaryclub@gmail.com) and we’ll let you know what time we expect to be there. Cleator- for Tourmaline, Chrysocolla & quartz. 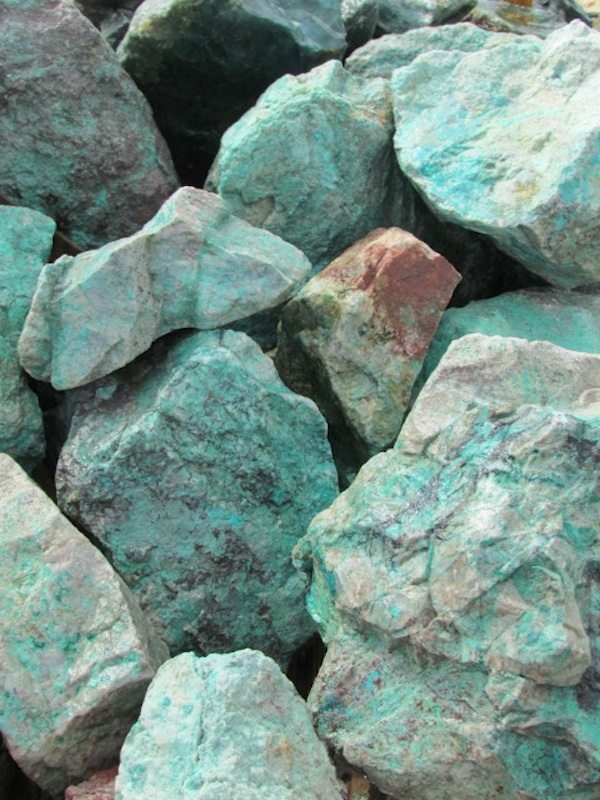 Chrysocolla can be picked up along the roadside, there are also mine tailings and other places to clamber around on looking for tourmaline and quartz. The road is a “good” dirt road – no need for high clearance, just dusty and likely washboardy. Be prepared for it to be very warm to uncomfortably hot – bring lots of water! (and sun protection). ***Note new meeting place.